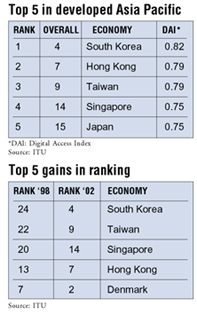 In 2003, the Market Information and Statistics Unit launched the Digital Access Index (DAI), a new index, which measures the overall ability of individuals in a country to access and use new ICTs. 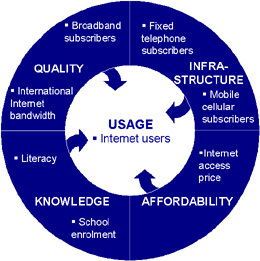 The DAI is built around four fundamental vectors that impact a country's ability to access ICTs: infrastructure, affordability, knowledge and quality and actual usage of ICTs. The DAI has been calculated for 181 economies where European countries were among the highest ranked. The DAI allows countries to see how they compare to peers and their relative strengths and weaknesses. The DAI also provides a transparent and globally measurable way of tracking progress towards improving access to ICTs.